If you want to get your money back quick, read on. The first half is recovery against a Company and the other part is when your debtor is NOT a Company. 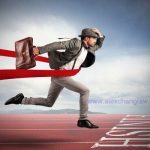 WHAT IS THE FASTEST METHOD IN DEBT RECOVERY AGAINST A COMPANY? File a companies winding up petition WITHOUT getting a judgment (going the long process of trial). 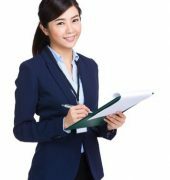 Filing a Companies Winding Up Petition against your debtors (who are a company, in Malaysia they are BERHAD, BHD, or a Private Limited Company, SENDIRIAN BERHAD, Sdn Bhd), is the fastest method of recovery. The alternative will be a filing of a Writ of Summons to get a judgment then file a winding up petition AFTER getting a judgment. From our experience it takes about 6 months from the time we issue a letter of demand till the recovery of the debts. 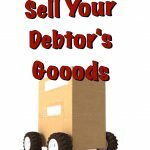 In this debt recovery game the sooner you start your recovery process the sooner you will be paid. 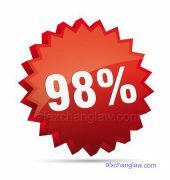 The reason is simple, we have experienced a matter where there are about 60 creditors taking legal actions at the same time, only less than 5 received payment. 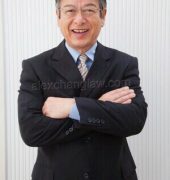 Once we have filed a companies winding up petition against the debtors, we will usually proceed to take legal action to freeze the assets of the company, all these will take place within two months of filing the action in court, once that is achieved, when the winding up order is finally made, the monies in their bank accounts and the assets are intact for the Liquidator to collect and distribute to the creditors. after getting a judgment, you need to execute the judgment. 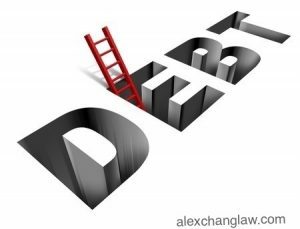 To understand how to recover your debts you must understand the entire procedure in order to effectively collect your outstanding debts from the beginning till the time your debt is collected. After you have gone through the lengthy process of completing the entire proceedings (at times including a trial) and then getting a judgment against your debtors, it does not automatically means that the debtors will automatically pay the debts automatically. You will have to commence execution proceedings such as a companies winding up petition (after judgment), Bankruptcy Petition or a Writ of Seizure and Sale. 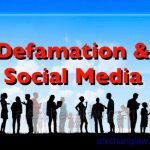 There is faster way of obtaining a judgment rather than going for a trial, the process is called summary judgment and we have written an article please click on the article below. Frequently Asked Question: How can an unsecured creditor recover their debts? The perception on this is that only bankers and secured creditors may recover their debts. This is generally true. Can unsecured Creditors get paid ahead of the Bankers? Please click here for the guideline or checklist OR If you would like to submit a Debt Recovery Query Form directly to us. I have Done a business agreement with A Sdn Bhd company. once the supplier couldn’t fulfill his promises by delivering the goods of RM 1xxk, i requested a full refund but he kept delaying and avoiding till I pressured him to write me a cheque. However, he told me he doesn’t have balance and i should wait till he inform me when to deposit it. 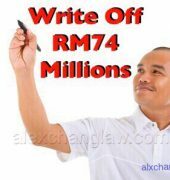 Dear Alex I have Done a business agreement with A Sdn Bhd company. once the supplier couldn't fulfill his promises by delivering the goods of RM 1xxk, i requested a full refund but he kept delaying and avoiding till I pressured him to write me a cheque. However, he told me he doesn't have balance and i should wait till he inform me when to deposit it. What shall i do? Whenever a debtor asks the creditors to wait, you have a choice to wait for a while then after your patience run out then you can decide to take legal action. Usually (in the absence of special circumstances) we will perhaps wait for two to four weeks. I am exporter of Agri Commodity in India.I have export cumin Seed in Malaysia. Total Value of Payment is around US$35,000/- but this company did not send the payment in last week. They have given TT copy but the TT copy is not aunthicated so it cannot be cashed. so i am what type of Legal action taken for This company.pl help for recovery of payment and next week i am going to malaysia. so please suggest what type of legal action can be taken for this company and how much will be the charges for debt recovery. Dear Mr Alex Chang I am exporter of Agri Commodity in India.I have export cumin Seed in Malaysia. Total Value of Payment is around US$35,000/- but this company did not send the payment in last week. They have given TT copy but the TT copy is not aunthicated so it cannot be cashed. so i am what type of Legal action taken for This company.pl help for recovery of payment and next week i am going to malaysia. Company Information : Axxxxxxxxx Trading SDN BHD Peatling Jaya Selangor, Malaysia. Mr azan- +6014 xxxxxxxx (senior manager) Mr danny- +6014 xxxxxxxx (import manager) Mr Bharat -+6011 xxxxxxxx (Boss) so please suggest what type of legal action can be taken for this company and how much will be the charges for debt recovery. If you are agreeable, we will send you the quotation. We are a company work under S********. However, we are not dealing directly with the company as we are only one of the sub-contractors of the principal/ owner of the project. S******** claimed that they have made the payment to the company (principal) but the principal owed us up to RM 100,000 (around 3 months payment) and now we are still unable to recover the outstanding debts/ sum. What actions can we take? Thank You. Thank you so much. We are trying our best to share some information that we have acquired over the years. We will normally advise you to take legal action immediately while the debtor is still in operation. Pls call us to make an appointment so that we can tell you in greater details. Dear Mr Ung Thank you for your mail. We will normally advise you to take legal action immediately while the debtor is still in operation. Pls call us to make an appointment so that we can tell you in greater details. Hello There. I discovered your blog using msn. That is a very neatly written article. I'll make sure to bookmark it and return to learn extra of your useful information. Thanks for the post. I'll definitely come back. Note: All fields are required. Mobile number for WhatsApp for clarification of your comments. Email and phone will not be publish. Mobile number for WhatsApp in order for us to clarify your comment, if necessary.